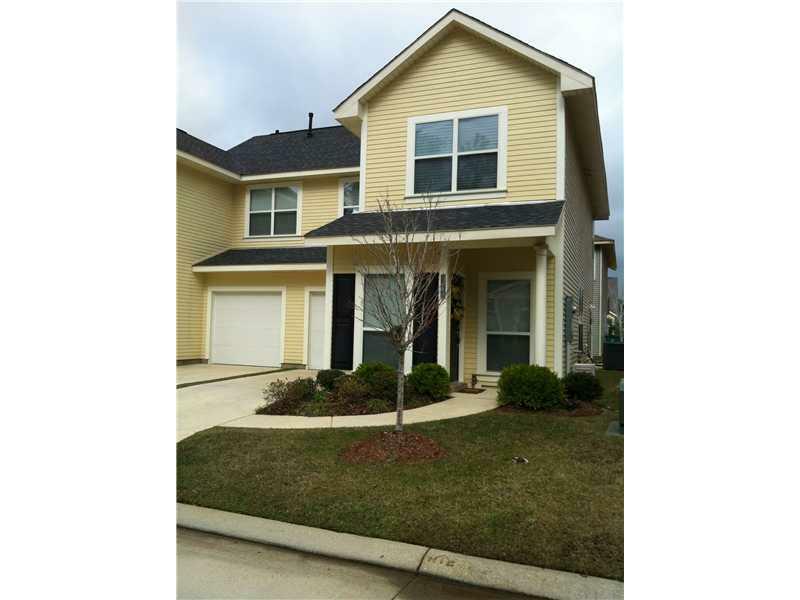 PRECIOUS COMMUNITY NORTH OF 1-12, WALKING DISTANCE TO THE TRACE AND ABITA BREW PUB AND PARK AND RIDE! COMMUNITY OFFERS POOL, CABANA AND COMMON MAINT. ALL WITH THE PRIVATE OF YOUR OWN GARAGE ATTACHED TO YOUR HOME. AN AREA WITH PRIDE AND MATICULOUSLY TAKEN CARE OF BY SINGLE OWNER. HOMES HAS LAMINATE WOOD FLOORING, GE APPLIANCES, BLACK, BLINDS AND LOFT FOR PLAYROOM, STUDY OR OFFICE. HALF BATH DOWN. A MUST SEE, PATIO WITH BACK DOOR ENTRANCE.